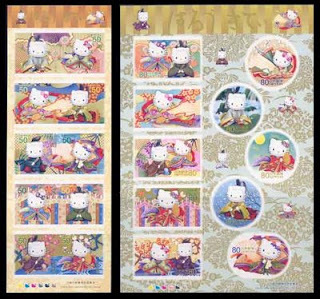 Last year Japan issued two awesome mini-sheets of Hello Kitty stamps. I have asked a friend in Tokyo for 10 sets. One set is shown here.